'Cult of Carnage' is well worth checking out. Die-hards are going to dive right in, and even casual Marvel fans will find a neat little horror book set in their favorite universe. It's a solid book and must buy. 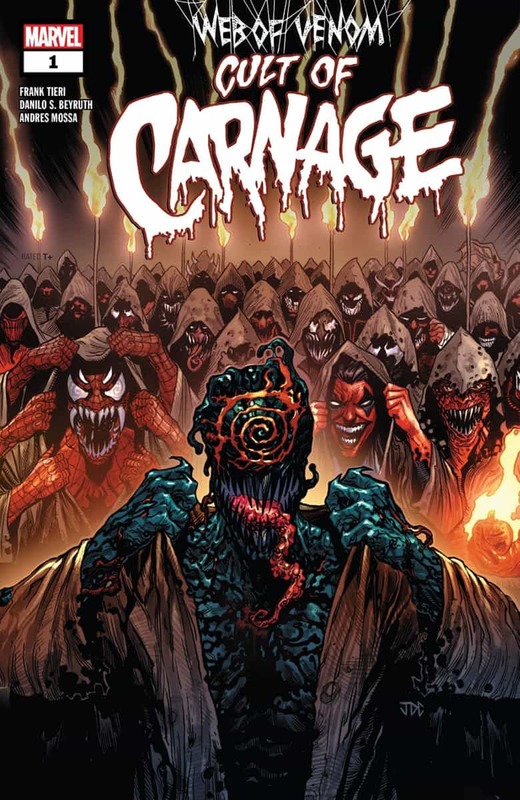 Web of Venom: Cult of Carnage by Frank Tieri, Danilo S. Beyruth, Andres Mossa and Clayton Cowles deftly continues to expand on the horror-tinged mythology the various symbiote books have been creating. 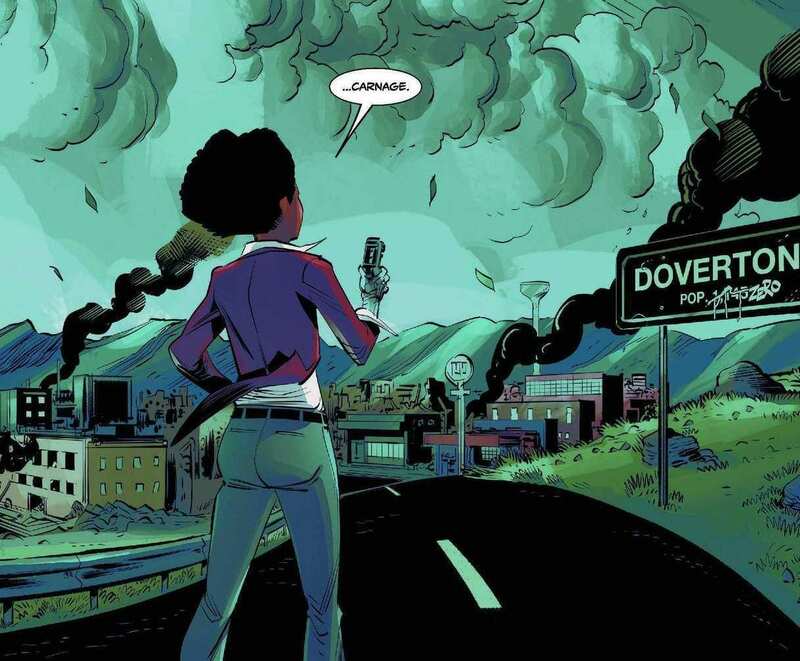 Misty Knight heads into Doverton, Colorado, where years ago the evil symbiote Carnage took over the entire population, slaughtering the rest. As Misty searches for the missing John Jameson (aka Man-Wolf), something sinister brews in the background. Dead bodies, missing their spines, begin to pile up. Just what is The Church of The New Darkness up to? And where is Carnage and the symbiote god Knull is coming!? Frank Tieri is no newbie when it comes to horror, and that’s a good thing because Cult of Carnage is not a superhero book. It’s a straight-up horror story that continues the modern mythology of the symbiotes that Marvel has been building for years now. Using just a bit of exposition, Tieri is able to catch readers up and dive us into the heart of Cult of Carnage, and that is where the horror lies. The story includes robed cultists, dark rituals, and spines being ripped out. It also does not skimp on the blood and gore; it pushes that envelope farther than any other mainstream Marvel book. Tieri also wisely uses some surprising characters. 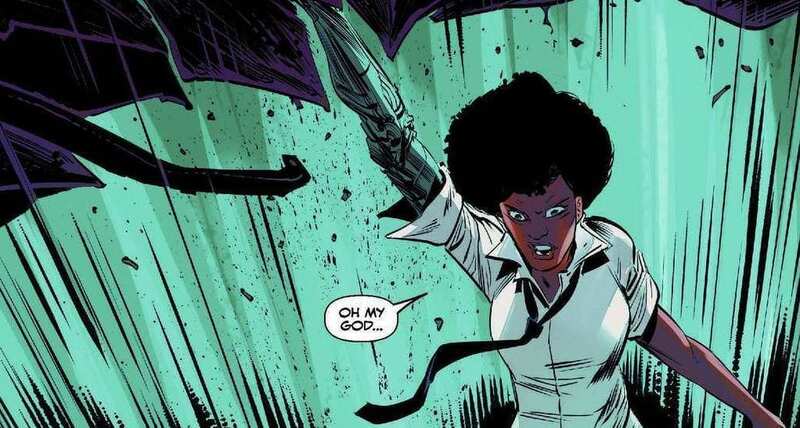 The protagonist here is Misty Knight. And we also quickly get John Jameson (who gets his origin explained briefly). 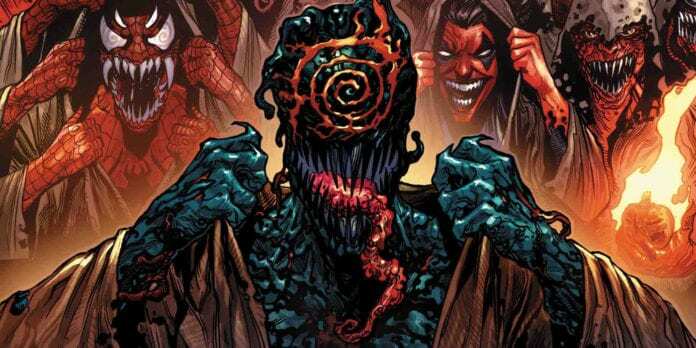 There are two more characters that make an appearance, but that’s better left unsaid as old-school Carnage fans will want to turn the page on these two themselves. Danilo S. Beyruth and Andres Mossa create a deceptively light look at first. The line work feels loose and the colors are not the usual horror comic garish. There’s almost a Jeff Lemire quality in the faces and figures. But then they turn around and give us some truly horrifying images. It’s a balancing act that works and gives the story a nice vibe that makes it feel very unique. Cult of Carnage is well worth checking out. Die-hards are going to dive right in, and even casual Marvel fans will find a neat little horror book set in their favorite universe. It’s a solid book and must buy.